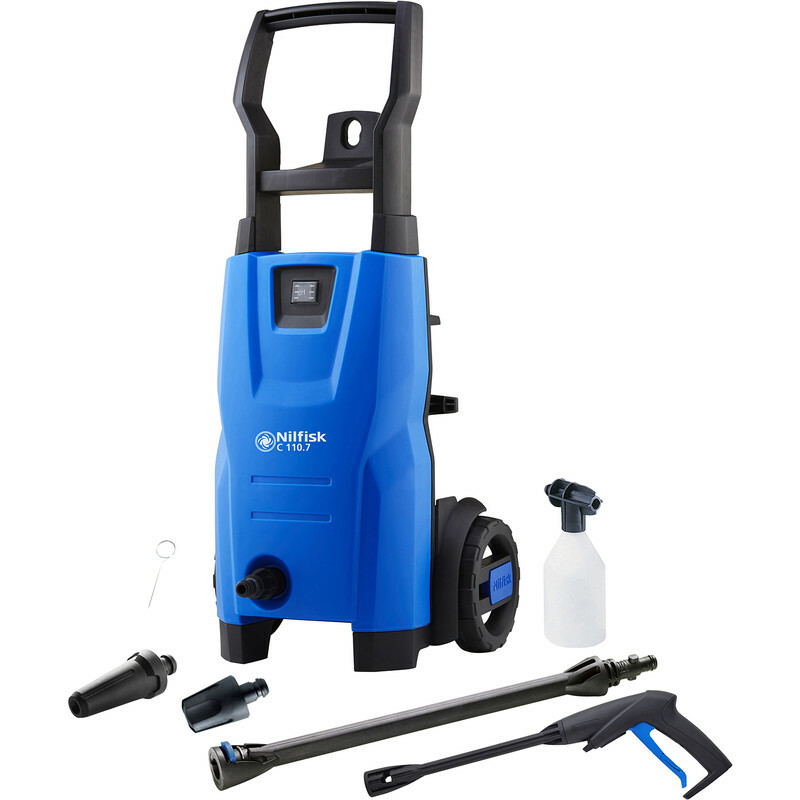 Includes 5m high pressure hose and 5m cable, G1 trigger gun with click connect and hose swivel, G2 Click&Clean Lance, Click&Clean Tornado fan jet nozzle, Click&Clean Powerspeed rotating pencil jet nozzle, Click&Clean foamer nozzle and detergent bottle. Nilfisk Compact Pressure Washer 240V 110 bar is rated 5.0 out of 5 by 1. Rated 5 out of 5 by Bezza from Very compact but very powerful This is my second nilfisk, and it is far better than the one I just replaced. Hozelock pico which was Twice the price and half as good. Sold that on eBay at a loss after only 3 uses. I would recommend this small unit, and I bet the larger ones are better again. Superb buy.